Inspired by the impressive length of our refreshing pool, 100 Meters is our poolside bar with a menu as extensive as its name. 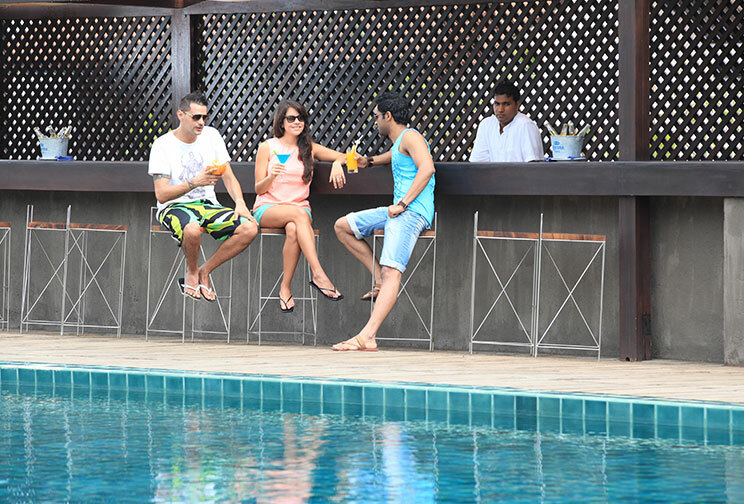 Between tropical cocktails and mocktails, our elegant haunt at Jetwing Lagoon offers a range of international beverages and spirits under the sunny Negombo sky, with the coastal outdoors to envelop you in absolute comfort. Should you wish, you may also pair your drink of choice with some light snacks for savouring on your lazy respite, either before or after you decide to take a few laps in the longest swimming pool on Sri Lanka’s bustling western coastline.